We conclude this series with aspects of leadership consisting of maturity, humour, positive diligence and finally, affirmation. As you go through these points, recall and review how you might have employed these forms of leadership, in different situations and at different stages of your child’s development. 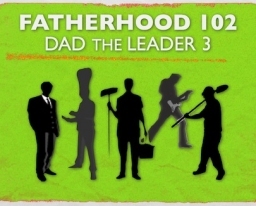 A dad leader helps to build maturity in his children by providing guidance through difficult life lessons, gently growing and nurturing their sense of self awareness and training their responses to challenges. For example, teaching them how to win, and lose, how to apologise, and forgive, and to realize that life is not always a zero sum game is something we do to help them acquire the skills for navigating the complexities of our world with growing maturity. We also impart our values to them, and doing that prepares them for a life of stable empowerment, self-control and leadership. To build maturity, we also guide our children through difficult lessons, like how to be magnanimous in winning, and gracious in losing. As we share our perspective on winning and losing, or giving and receiving, our children learn that life is rarely ever a zero sum game – it is not necessary that the winner or receiver is always better off, at the expense of the loser or giver. These lessons also relate to learning how to recognise situations when one is in the wrong, and sincerely making restitution. Teaching them how to forgive others will also lead them to mature. Leaders need to have a sense of humour. You are at your most effective when you can show a sense of humour in any situation. Humour communicates being in control of your emotions and being ready to face what is coming. It flows from having proper perspective on situations, and confidence to overcome them. Humour also energises your children, and gives them the best chance to face any situation with a positive mindset. How do you apply humour? One of the easiest ways is to laugh at yourself; or tell a joke about yourself. Child-appropriate jokes, riddles and even practical jokes are also forms of humour you can use to express your leadership. This trait also tends to help you build strong bonds with your child, and practice your creativity. Leaders are people we want to follow. As a dad, your kids look up to you and want to follow you. To make sure we are on a track that we would like our children to follow, we need to be conscious that our enterprise is more than simply a form of labour. We should strive for making a positive contribution through what we do professionally. Talk to your kids about your work, and teach them something empowering about the ‘real’ world as you do so. Having fun outside of work is also important to lead your kids into becoming well-rounded individuals. Have at least one hobby, within reasonable constraints. It can be something to do with sports, arts, technology or even entertainment. If you had a hobby that you miss, think about taking it up again. Finally, lend a hand when you can. Look for opportunities to help people in need. This expression of leadership helps our children develop the instinct for taking the initiative. It involves identifying a problem faced by people in need, then analysing the situation and developing a plan of action to help them. Remembering that we are human, and all of us are imperfect. Therefore, what our families thrive on are these: attention, patience, kindness, acceptance and protection. As a leader, they rely on your love to provide these things. Be happy in what you do. Make those around you smile. As you breathe, find joy and laughter. While you live, love your wife and children.